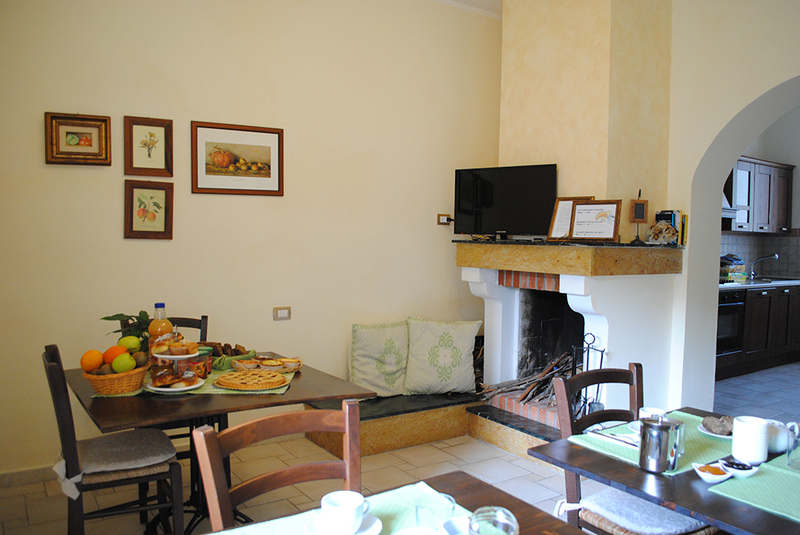 Every morning our guests are woken up by the sweet smells coming from the kitchen where your hostess at Del Viale B&B makes breakfast, which is served in the dining room where there are small dining tables that can be joined together to make a big one. This way you can always feel free to spend breakfast time with your partner as well as with other guests of our b&b. The dining room is well furnished: here there is an old fireplace with sitting area. The country-style furniture with the traditional Sardinian pillows give our guests a feeling of welcome in a warm atmosphere.Enjoy the refrigerator in our chestnut kitchen with oven, sink and dishwasher. The fridge is at guests’ disposal: it’s very much appreciated in Summertime!Begin your glorious morning at our B&B with a full breakfast made up of traditional goodies. Breakfast includes hot crunchy bread, cookies, rusks, traditional baked goodies, butter, marmalades and jams assortments, hazelnut cream with cocoa, tea, coffee, cappuccino and milk. On demand, we can also offer yoghurt, fruit juices and a fresh seasonal fruit selection. Tourist information sheets and specific information about Sardinia are available at breakfast room: during breakfast time the owners give useful tips and advises about the best places to visit in the area.Click image to enlarge. 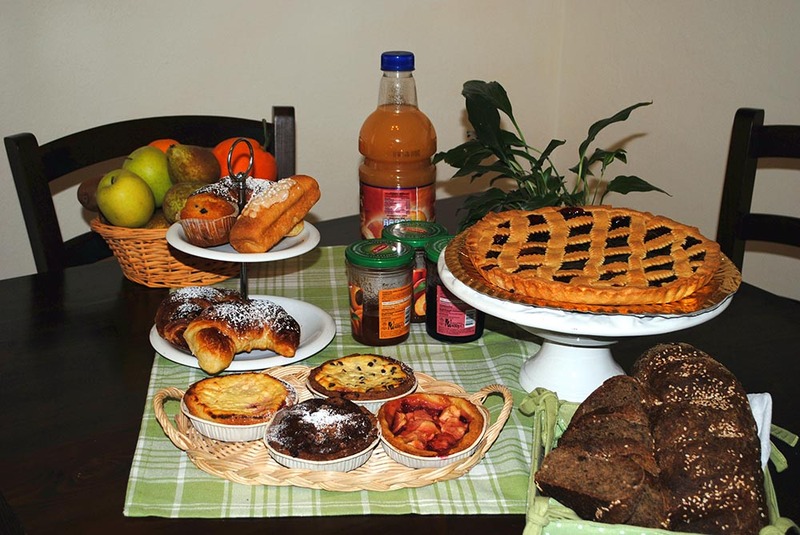 Every morning our guests are woken up by the sweet smells coming from the kitchen where your hostess at Del Viale B&B makes breakfast, which is served in the dining room where there are small dining tables that can be joined together to make a big one. 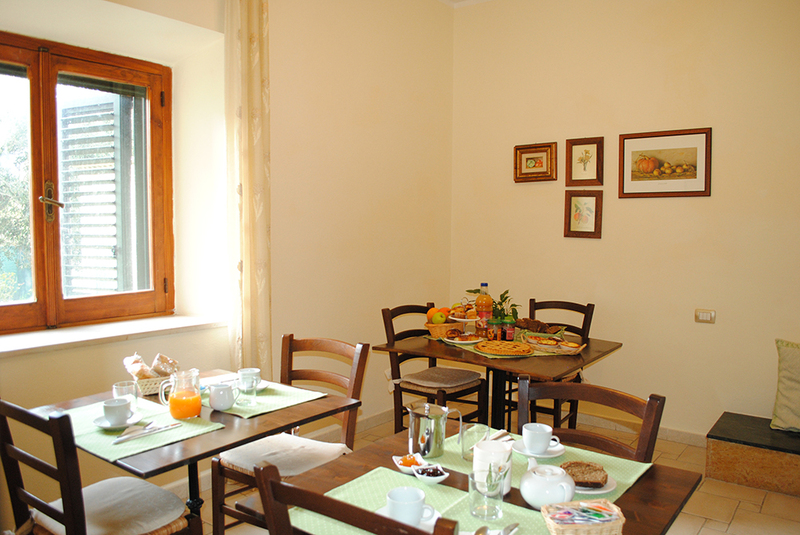 This way you can always feel free to spend breakfast time with your partner as well as with other guests of our b&b. The dining room is well furnished: here there is an old fireplace with sitting area. The country-style furniture with the traditional Sardinian pillows give our guests a feeling of welcome in a warm atmosphere. Enjoy the refrigerator in our chestnut kitchen with oven, sink and dishwasher. The fridge is at guests’ disposal: it’s very much appreciated in Summertime! Begin your glorious morning at our B&B with a full breakfast made up of traditional goodies. Breakfast includes hot crunchy bread, cookies, rusks, traditional baked goodies, butter, marmalades and jams assortments, hazelnut cream with cocoa, tea, coffee, cappuccino and milk. On demand, we can also offer yoghurt, fruit juices and a fresh seasonal fruit selection. 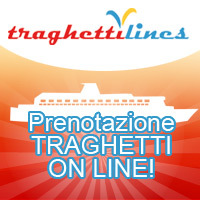 Tourist information sheets and specific information about Sardinia are available at breakfast room: during breakfast time the owners give useful tips and advises about the best places to visit in the area.